Sherwood, OR is a residential community nestled in the Tualatin Valley and just 30 minutes southwest of downtown Portland. Although the city was originally named Smockville after it’s founder, James Christopher Smock, Sherwood was given it’s current name by a local businessman Robert Alexander in 1891 whose hometown is in Sherwood, Michigan. 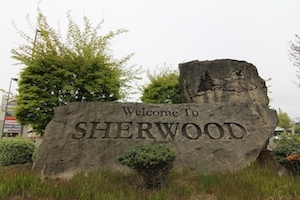 Today, approximately 19,000 people call Sherwood home, and it is part of Washington County that has over 450,000 residents. In 2014, Sherwood tied with Wilsonville and was named as the 2nd safest place to live in Oregon. The safest place was from one it’s neighboring communities, West Linn. 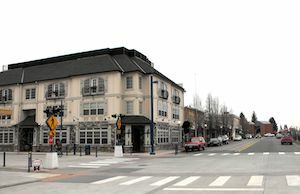 While Sherwood is 17 miles from Portland, one of the reasons residents choose to stay is because it hosts 14 parks, has excellent schools with a 92% graduation rate, affordable housing, a historical downtown area and annual Music on the Green. Music on the Green is an annual summer concert series outdoors in a park setting. This contributed to being Sherwood named as CNN Money Magazine’s fifth best small town in 2013. Sherwood made this list before, ranking #100 in 2011. 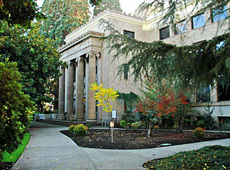 The City of West Linn is the only other Oregon city to make the 2011 listing, coming in at #69. If you are facing DUI or drunk driving charges in Sherwood, Oregon or elsewhere in Washington County, it is important to find a skilled and hardworking DUI attorney to handle your case. It does not matter if you believe you have been wrongfully accused or that your charges leave you with few choices, it is essential to receive information and guidance from a lawyer who can help you navigate through Sherwood’s criminal justice system at Washington County Circuit Court. Reynold’s Defense Firm has a team of skilled DUI attorneys with years of experience with the court system at the Washington County Circuit Court, and we help our clients keep negative consequences to a minimum. Our decades of combined experience in addition to our relationships with Washington County Prosecutors and Judges will leave you in great hands. It is a frequent and devastatingly unfortunate mistake to face a DUI without impeccable representation and legal advice. We strongly recommend that you don’t go into court without representation because the consequences are too great to leave to chance. Our team will provide you with all the services you’ll need to move forward with your DUI case, but if you decide to move forward with another firm, make sure you have a DUI lawyer that is familiar with Washington County laws and court systems. If you need help with resolving a criminal matter for a DUI arrest, or any other matter in Sherwood—please call Reynolds Defense Firm at (503) 223-3422, or contact us using the online form on this website for your free consultation. Our team has over 35 years of combined experience working in the Portland Metro area including Sherwood, and can help answer your questions and figure out what the best steps are for you.